Since the beginning of the Brazilian election season, I have always maintained that Aécio Neves would make it to the second round. When I said this one month ago (when Aécio was far behind in third place) people looked at me like I was crazy. Haven’t you seen the latest polls? Haven’t you read what the Financial Times, or The Economist are saying? My answer to those questions was always yes. It’s my job to understand the polls. It’s my job to know everything there is to know about the election. 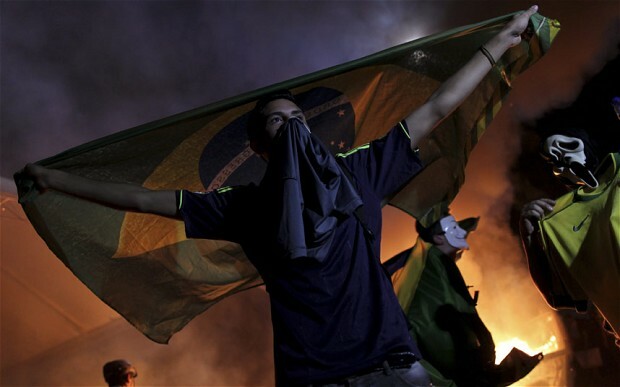 Most political analysts missed the main implication of the Brazilian protests from June 2013: The most important thing was not what the protesters wanted. It was about who they were. The protests revealed a significant shift in Brazil’s demographics, and in particular, the country’s growing middle class. According to Serasa, a Brazilian consulting firm, this is the first Brazilian election in which the majority of the population is part of the middle class (54 percent). The growth of Brazil’s middle class was a consequence of social programs promoted by successive governments since the administration of Fernando Henrique Cardoso (1995-2003). The social mobility that these programs promoted allowed millions of Brazilians to become active participants in the economy for the first time in their lives. 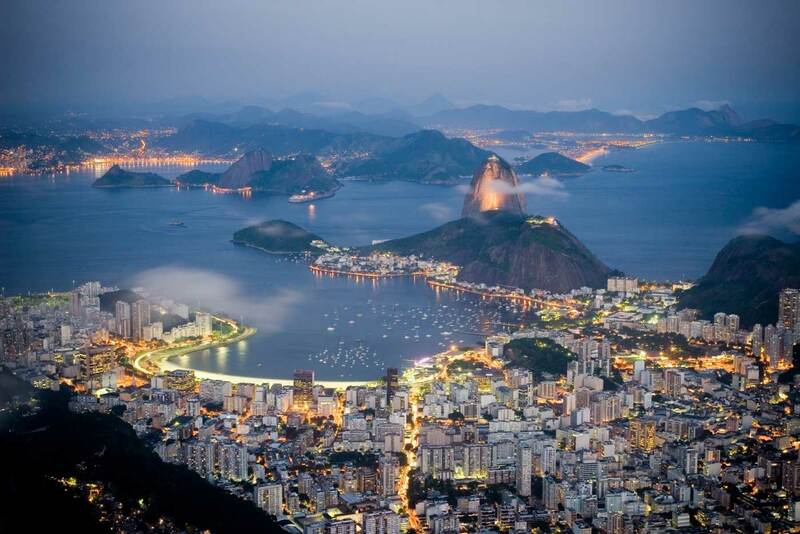 These improvements restored hope in Brazil’s democracy, and, most importantly, they created a feeling of entitlement to further opportunities; to keep ascending the socioeconomic ladder. Middle-class protesters hit the streets in 2013 because they feared this ladder could be crumbling. Before the pollsters or the analysts or the risk managers, the new Brazilian middle class realized that for them to continue moving up, they needed a government that could be capable of making Brazil’s economy grow again. They didn’t necessarily want political transition. That is what analysts missed. Protesters were actually asking for a government—any government—capable of making the changes to keep them from falling back into poverty. Hence, in this election any campaign that can position itself as the most prepared to increase the competitiveness of the Brazilian economy stands to win. 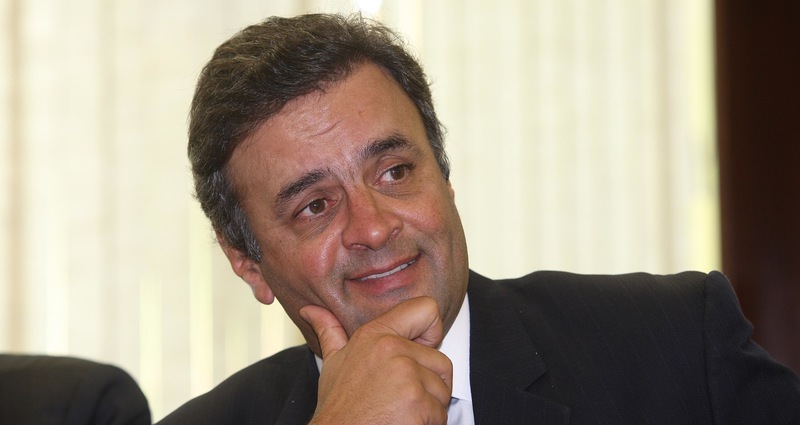 During the early electoral campaign there were three candidates perceived as capable of leading that change: Eduardo Campos, Aécio Neves and Dilma Rousseff. And among the three, the last two were seen as the most prepared. But when Eduardo Campos died in a fiery plane crash, Marina Silva assumed leadership of his campaign, and the sudden exposure begat spiking popularity. 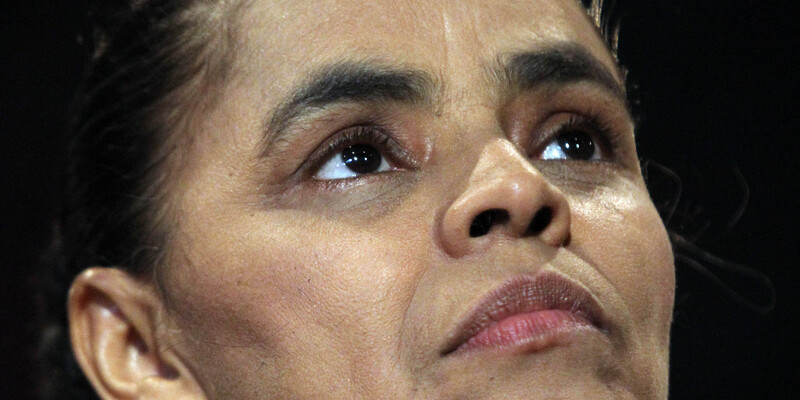 Marina Silva entered the electoral race as a very popular figure in Brazil. For one, she was perceived as a great environmentalist—someone who had cut down deforestation rates in the Amazon by half as Lula’s environment minister. The tragic circumstances that led to Silva’s candidacy, combined with Brazilians’ perceived hunger for change, allowed her marketing team to craft a campaign that would prove to be very appealing to the public. Her team decided to use the oldest campaign strategy in the book—a narrative of a good-bad dichotomy: The good being her “new” way of doing politics in Brazil and the bad being the old one deployed by the other candidates. By dividing the Brazilian political scenario into old and new, her marketing team was able to position her as the only candidate capable of delivering the necessary changes, while all other candidates were portrayed as terrible choices. So, why didn’t Marina make it to the second round then? Well, it turned out that there was a problem at the core of Marina’s marketing strategy, and the problem was Silva herself. During her political career, Silva had been elected to the senate twice, and she had also served as Lula’s environment minister from 2003 to 2008. She was part of Brazil’s old politics just as much as any other candidate. It did not take long for the public to spot the inconsistency between her speech and her own political experience. This became very clear during one of the live presidential debates when she accused the PT government of making bad political choices only later to invoke her successful track record as a Minister during the PT administration. And to make things worse, in order for Silva to become the PSB candidate after Campos passed away, she was forced to adopt most of Campos’s electoral promises even though there were parts of it she did not agree with. This disconnect between her own ideas and the program of the party she represented became increasingly clear during debates and public appearances where she would constantly contradict herself or change opinions. It did not help that most of her supporters, as well as political and economic advisors were basically people linked to the “old politics”, such as bankers and advisers of former president Cardoso. So Marina went from being the rising star to being a candidate that people weren’t sure they could trust. Obviously the PT played a big role in changing people’s minds, leaning on a strategy it has used since Lula’s first term: inflicting fear, especially in the most vulnerable voters. With polls predicting a strong performance from Silva, the PT focused on aggressively attacking her, sending a clear message to the electorate: Silva may have soaring rhetoric, but she is not a person that you can trust. And as you might know by now, it worked. Silva’s polling numbers actually began to drop weeks about two weeks before the election, and they are probably still falling now. Mr. Neves is regarded by most politicians in Brazil as a great political articulator and an excellent negotiator. Those qualities were in part inherited from his prominent political family, and in part developed throughout his political career. In practice, these qualities have helped him form the most unlikely alliances and, consequently passing difficult reforms such as ending parliamentary immunity from prosecution. During his two terms as governor of the state of Minas Gerais, Neves faced similar challenges to those that the next Brazilian president inevitably will have to face. He inherited a broken state, with far more public servants than needed, that was incapable of attracting foreign (or any) investment. After promoting a “management shock”, which featured cutting the number of state secretariats from 21 to 15 (without any public protest), and cutting other unnecessary costs, he was able to balance public budgets after only two years in office. Despite Neves’s political credentials, he did not perform as well as expected in the polls. His campaign was confident that his experience would speak for itself, and that the friendly and polite tone of his campaign would differentiate himself from the rest of the candidates. To prevent the campaigns collapse the campaign quickly changed gears by creating new commercials that provided more detailed information about his achievements as governor. He also brought on the more articulate former-President Cardoso in order to increase his internal support within the PSDB, especially in the North and Northeast, where he lacked popularity. At the same time, Neves himself started to behave more aggressively towards other candidates whenever he felt he had room to do so – demonstrating that that he could be firm when needed. Luckily for him, the PT could not attack him on privatizations, a very sensitive issue in Brazil since the 1990s when the PSDB privatized public companies and was accused of benefiting the elites at the expense of the Brazilian people. Any attempt to do so would have raised the Petrobras topic with all its corruption scandals, something that Dilma wanted to avoid at all costs. The PSDB’s strategic shift worked and Neves rapidly closed the gap with Mrs. Silva. In this light, the first round results were really quite predicatble. Although Brazil’s new middle class was asking for a change of course in government policy, they were not necessarily asking for something completely new. They were looking for someone who they could trust, someone capable of undertaking the necessary changes to jumpstart economic growth. At the end of the electoral campaign, Mrs. Silva had become the opposite of this description. My bet is that Neves will become Brazil’s new president on October 26. I believe that this election will be decided in Minas Gerais—the second largest state in terms of registered voters (PSDB has a clear lead in the largest, Sao Paulo). Neves is from the region and has representated it as a governor, but he actually lost it to Dilma in the first round. This was primarily due to 1)Neves’ lack of emphasis on presumably reliable territory, and 2) the sheer number of people from the region who benefit from Bolsa Familia. Neves will probably increase his attention on his home state in order to leverage this strong popularity there and turn some votes from the PT to the PSDB. Push has come to shove, and Neves’ support network in the state is stronger than Dilma’s. Formal endorsements from other political parties will also play a key role. So far Eduardo Jorge from the Green Party (PV), and Pastor Everaldo from the Christian-Conservative PSC have already announced their support for Neves. Silva’s party, the PSB, has also made their support for Neves official, and so has the family of Campos. Marina herself finally added her support on October 12, citing the need for “political alteration” and the voters desire for change. My bet is that most part of Marina’s votes will migrate to Neves. If anything, Marina’s supporters are bitter with the PT for sinking their campaign. 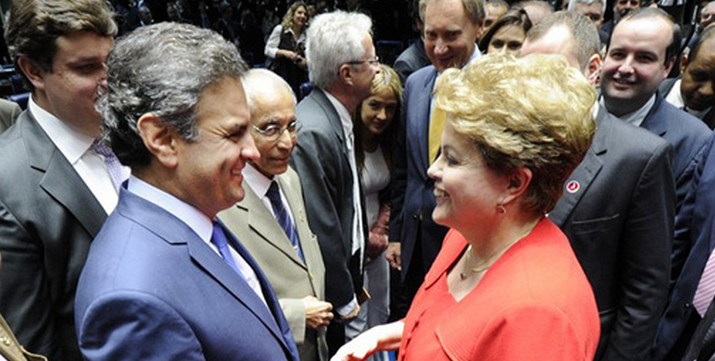 They would prefer to vote blank or invalid rather than plump for Dilma. Finally, to come full circle, Neves could win because Dilma has nothing new to offer to the middle class. Her biggest trump is Bolsa Familia. For the new middle class, that is old news. Having to depend on Bolsa Familia again for their subsistence would mean that they have fallen back into poverty. A strong economic program that can make the economy grow again is what will ultimately drive the vote on October 26. Brazil’s low growth and economic challenges will now be at the center of political debate. And since Dilma’s first term was not exactly fantastic for the Brazilian economy, Neves stands to win from the economic discussion, especially if we consider all the scandals involving state owned enterprises which have damaged Dilma’s image as a candidate capable of governing the country effectively. Neves, on the other hand, has a record he can lean on. When he stepped down at the end of his second term as Governor, Minas Gerais had expanded and upgraded its road network, had the best basic school system in the country, crime rates were reduced by 36 percent, and Minas Gerais had become the state with the best public health system in the Southeast region. This is serious ammunition will help him reinforce his image as the most prepared candidate to restart the engine of Brazil’s economic growth. Luciana Guimarães is Brazilian attorney and international analyst based in Sao Paulo. This entry was posted in Brazil and tagged Aécio, Bolsa Familia, brazil presidential election, dilma, Latin America blog, Lula, Marina Silva, neves, No Se Mancha, Se Mancha, why neves will win. Bookmark the permalink.